With the winding down of the summer months and the onset of the fall season, it is time to get ready for one of Autumn's most beloved traditions: festival season. From street fairs to riverfront fests, we have you covered when it comes to Fall festivals along the Grand Strand. One of the most beloved festivals from around the area comes back for its 13th year of celebration! The ShrimpFest will take place on October 14 and 15 on the historic Little River waterfront. Visitors to the north end of the Strand can take part in this two-day event that is sure to please seafood and music lovers alike. Although shrimp is the crown jewel of the festival, visitors will also find many other delectable items from local restaurants. With more than 150 vendors, guests will stumble upon a bevy of arts, crafts, food, and beverage selections. While you stroll through the festival grounds, you'll be entertained with the jazzy sounds of several performance artists and groups. Each day, entertainers will take the stage and keep the jazz tunes coming! On Saturday, don't miss The Empire Strikes Brass and Nathan & the Zydeco Cha Cha's as they provide the soundtrack for the day. Sunday will feature Alex Austin, PaperWork, and The Tim Claek Band. You can see performances by Brian Ernst and Randy McQuay each day of the festival. Aside from dining, shopping, and grooving, take a chance at winning the Golf Cart Raffle! Proceeds will benefit Camp Chemo, and the drawing will be held at 5 pm on Sunday. Admission to the Shrimp and Jazz Festival is just $5 for adults, and kids 12 and under get in for free! Saturday's events will run from 9 am to 6pm, and the Sunday portion will take place from 9am to 5pm. 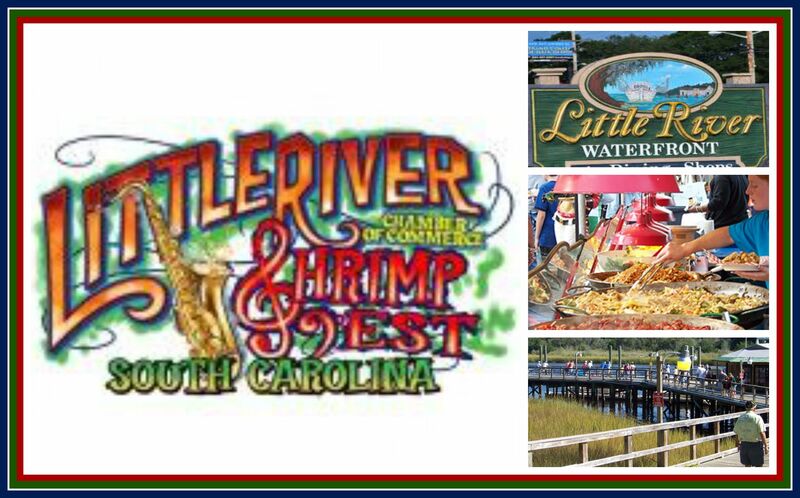 Check out Little River's exciting Shrimp and Jazz Festival this October! Make the trek a few miles above North Myrtle Beach for this truly charming event.